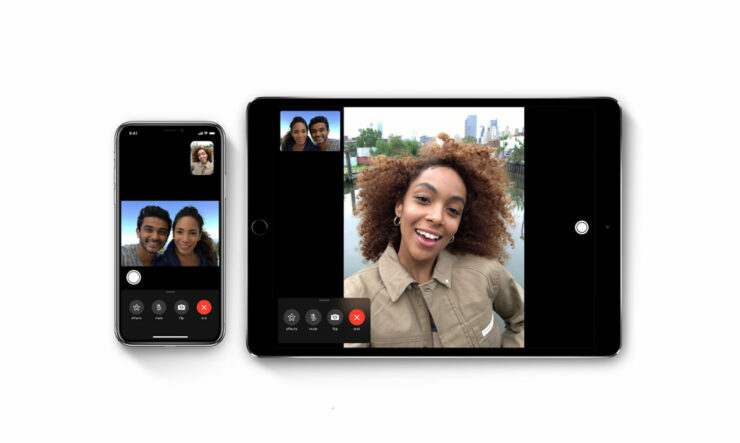 Apple, which claims to be a privacy champion, was caught in an awkward situation a few days ago when on the National Privacy Day, a bug was discovered in the FaceTime app. The security vulnerability made it possible to spy on other people running iOS 12.1 or later on their Apple devices. The Cupertino giant has now issued an apology for the security breach, but it is not helping matters since the software update to remedy the problem is nowhere to be seen. The company says that it has fixed the Group FaceTime security bug on its servers and will roll out a software update next week to re-enable the feature. The company also claims that as soon it became aware of the issue, Group FaceTime was disabled. To recap, the bug worked by adding a third person to the call, which tricked the software into activating the microphone of the target, unbeknownst to them. In some cases, it was even possible to access videos. It is also worth mentioning that disabling Group FaceTime is merely a temporary server-side solution. Apple had originally said that it will release a software update this week. Although the bug was widely publicized on Monday after a report was published on 9yo5Mac, but Michele Thompson, an attorney in Arizona claims that her teenage son discovered the flaw on January 19. Thompson said that she contacted Apple through multiple channels including phones and fax. Along with issuing an apology, Apple has also thanked the Thompson family for reporting the bug. The company is also facing a formal investigation by New York Attorney General for not addressing the issue quickly enough and for failing to alert people about it. The consequences of the breach could have affected millions of iPhone users and it is appalling that the company chose to stay quiet even though it knew about the bug a week earlier. If you are the kind of user that values your privacy, it is recommended that you momentarily disable FaceTime by going into the ‘Settings’ of your iPhone, scroll down, tap on FaceTime and tap on the icon to prevent using it until the problem has been resolved. Since next week isn’t far off and if Apple sticks to its word, which on the subject of software updates, the company normally does, we’ll see the problem resolved.